Now I'm a patterned paper girl through and through, apart from the odd sentiment I hardly use stamps and ink, they're just too unpredictable for the perfectionist in me, I know just where I am with paper. But, I've been so inspired by the watercolour trend I've decided to venture out of my comfort zone and try a new technique. I was really rather taken with the Derwent Graphic Line Painter Pens after seeing them in the demo, so when we met up recently, Kim kindly brought them along, as well as a selection of other watercolour pencils, inks and paints for me to try out, what fun! The Derwent Graphic pens were my favourite and I have them on order, but in the mean time when I got home I had a play with my distress ink pads, water and a brush. With just a few swooshes of colour on watercolour paper I created the background for the tag on this card. Now if I can do it then anyone can, so if you haven't dabbled with watercolour yet, I'd recommend you give it a go, you'll be hooked just like me. 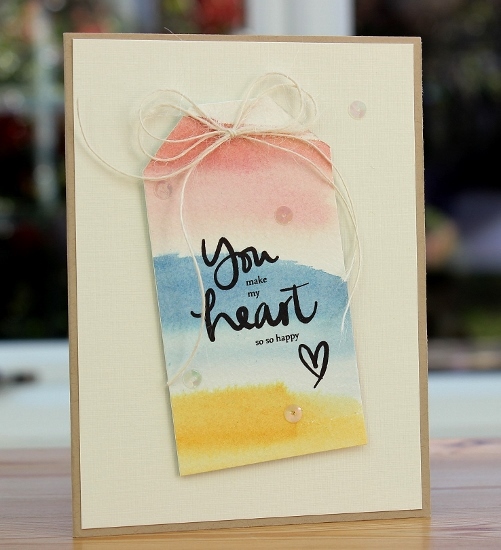 For another watercolour tutorial from Kim check out this post DIY watercolour effect over on the Blitsy blog. 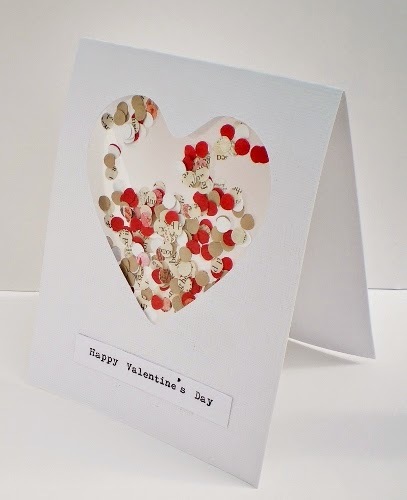 Make a quick and easy confetti pocket card like this one, or why not check out my Pinterest board dedicated to quick and easy DIY Valentine makes. 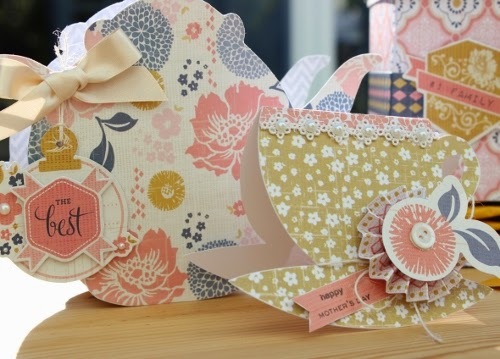 Follow Vicky Sheridan's board DIY Valentine on Pinterest. Here's a sneaky peak of a pretty tea themed gift set I have in this month's issue (136) of Quick Cards Made Easy, it's in the shops today, just picked up my copy!